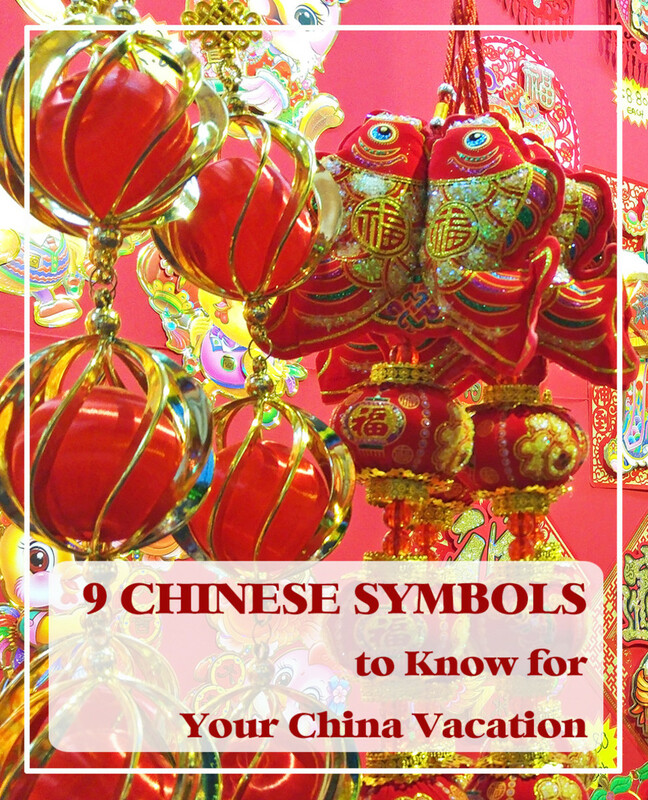 10 Chinese myths to know for any Chinese vacation! 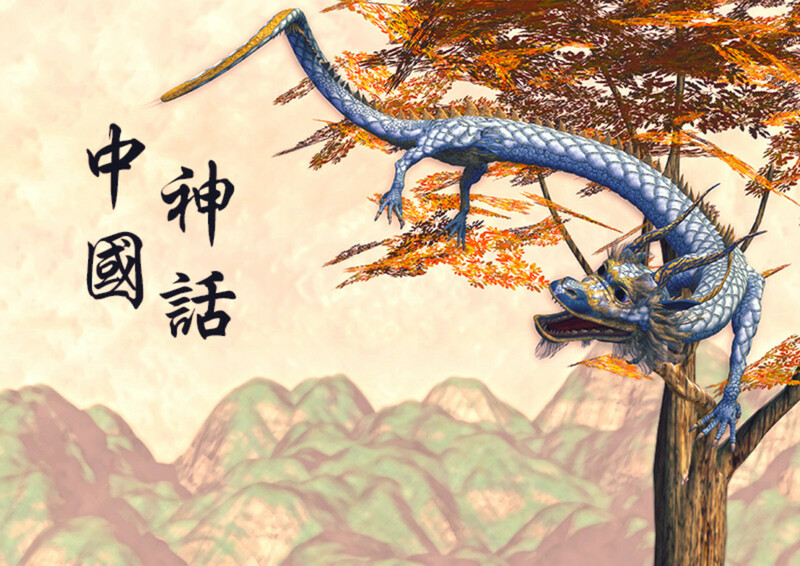 The best-known Chinese myths are not myths in the Western definition of the word. They are written works of fiction that became so popular and enduring, the Chinese started regarding them as legends. Many characters in these stories have also been immortalised and are actively worshiped today. A lot of characters in Chinese myths have actual historical counterparts. This creates the curious situation of there being a historical version of things (i.e. the insipid version), and the mythical, magical version. Naturally, this list emphasises the latter, more enchanting version. 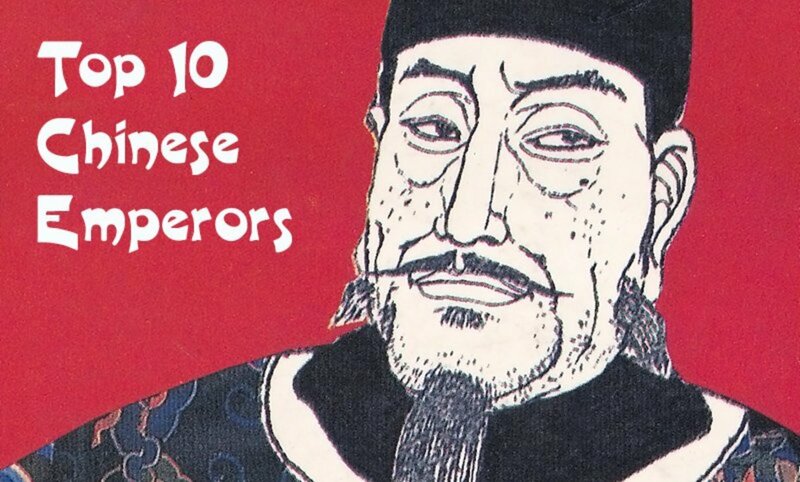 Without further ado, here are ten Chinese myths useful for tourists visiting China. These stories are frequently referenced in art, architecture and cultural performances. You would find such references all over China, and in any other community with a significant Chinese population. 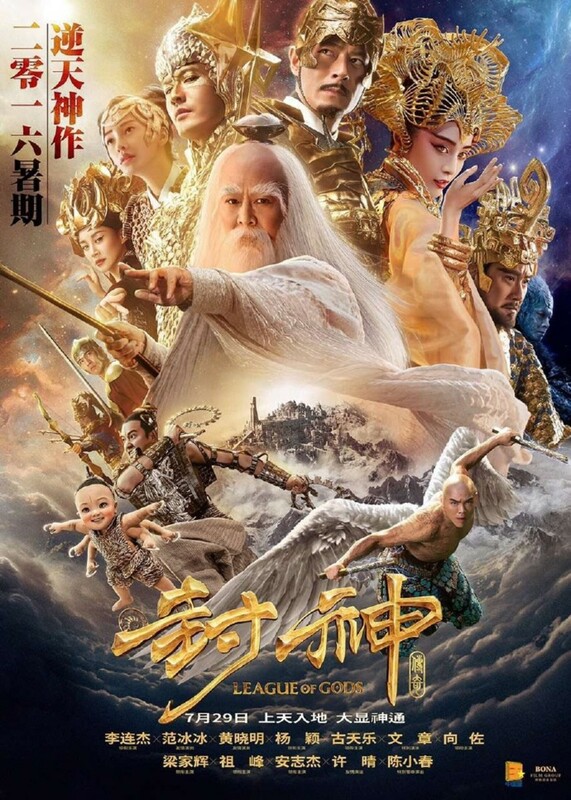 Easily the most famous Chinese myth, Journey to the West narrates the adventures of the legendary Monkey King Sun Wukong (孙悟空), one of the most beloved characters in Chinese mythology. Written in the 16th century by Wu Cheng’en (吳承恩), the story was based on the pilgrimage of Tang Dynasty Monk Xuan Zang (玄奘), who travelled to the “Western Regions” (India) in search of Buddhist scriptures. According to researchers, Xuan Zang had various pets during his journey. In the fictionalized version, these pets became Sun Wukong, Zhu Bajie (猪八戒) and Sha Wujing (沙悟净). Together, the magical trio defended Xuan Zang against numerous demons who sought to feast on the holy monk to achieve immortality. 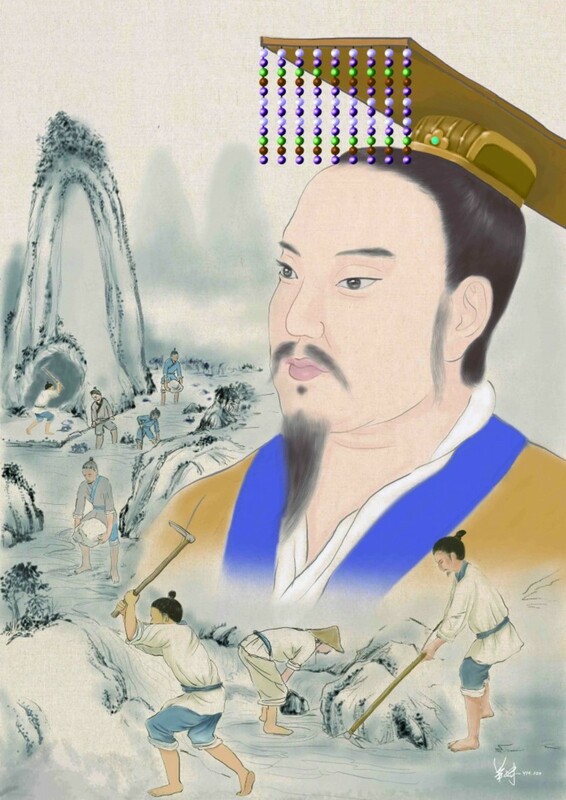 In total, Xuan Zang and his disciples weathered a total of 72 “calamities” before reaching the West. However, the most well-known parts of Journey to the West are not these events but the earliest chapters, which focused purely on the exploits of Sun Wukong. 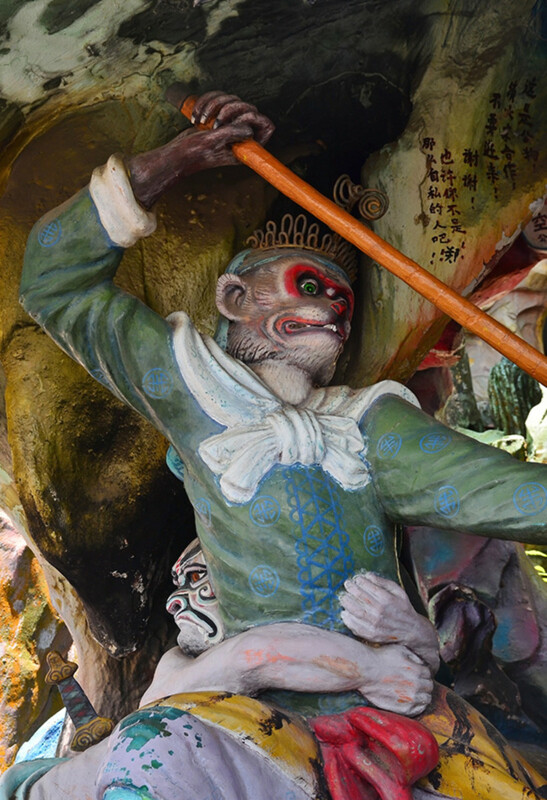 In these chapters, Sun Wukong wreaked havoc on heaven after achieving great power through Taoist practices. He was further empowered by his magical Ru Yi Bang (如意棒), a wondrous rod that could morph to any size which Sun stole from Dragon King of the Eastern Sea. Sun was only subdued after he failed a challenge issued by Gautama Buddha. The Buddha challenged Sun to somersault out of his palm, which the arrogant Monkey King thought nothing of, given he could traverse thousands of miles in a leap. In the end, Sun Wukong didn’t even managed to leave the heart of the Buddha’s palm. As punishment for his mischief, Sun was imprisoned for 500 years under a magical mountain formed by the Buddha’s palm. His final atonement after release was to accompany and protect Xuan Zang during the latter’s quest, which set the premise for the rest of the novel. Zhu Bajie, Xuan Zang’s second disciple, had the face of a pig. He was also lazy, greedy, and lascivious. A recurrent joke of the saga involved him getting into trouble because of his many shortcomings. In practically all cases, he needed the resourceful Sun Wukong to bail him out. Several modern Chinese sayings originated from Journey to the West. 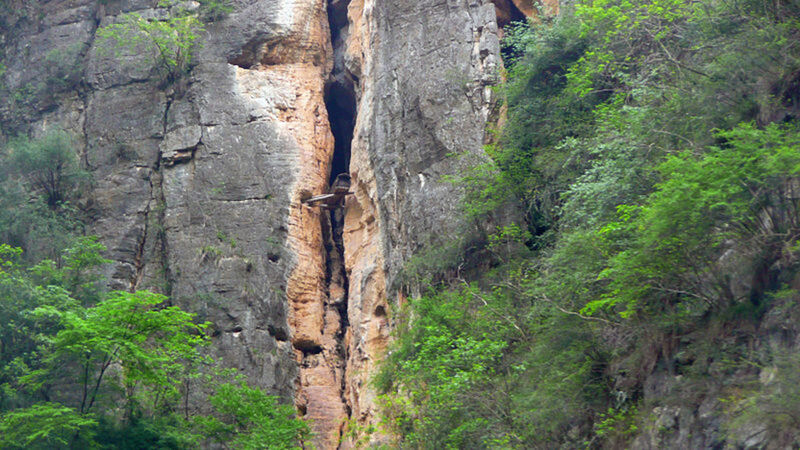 For example, “the inability to escape from the mountain of my hand.” (逃不出我的五指山 tao bu chu wo de wu zhi shan) This saying came from how Su Wukong, despite his formidable abilities, could not even leap out of the hand of the mighty Buddha. In 1942, Arthur Waley published a translated version titled Monkey: A Folk-Tale of China. In this, the main characters are given the anglicized names of Tripitaka, Monkey, Pigsy, and Sandy. Over the years, Journey to the West has inspired many Chinese movies and television series. 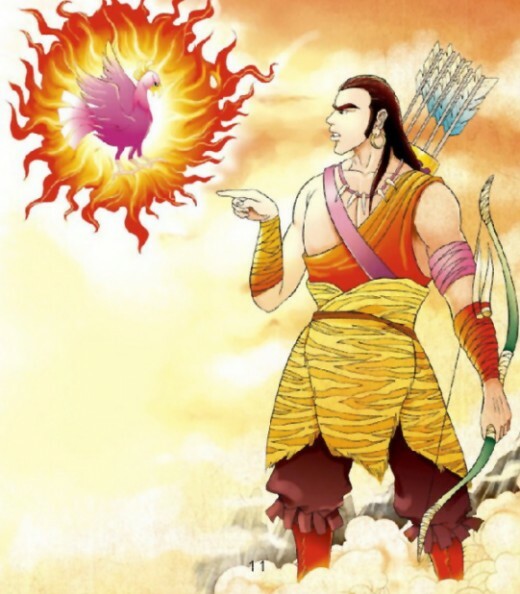 In ancient Chinese myths, Hou Yi (后羿) was a God of Archery. During his time, there was not one but ten suns surrounding the world. The offspring of the God of the Eastern Heaven, these suns took turns illuminating the world. Each day, one sun would rise and bestow light upon the Earth. However, the suns eventually tired of this rigid schedule. They decided to all rise at the same time, thus plunging the world into a fiery drought. To save his people, the Emperor of Ancient China appealed to mighty Hou Yi to teach the suns a lesson. Furious at the mass suffering around him, Hou Yi proceeded to shoot down nine of the suns. He would have shot down the final one too, but the Emperor informed him that to do so would forever remove light from the world. The sole surviving sun was therefore spared. 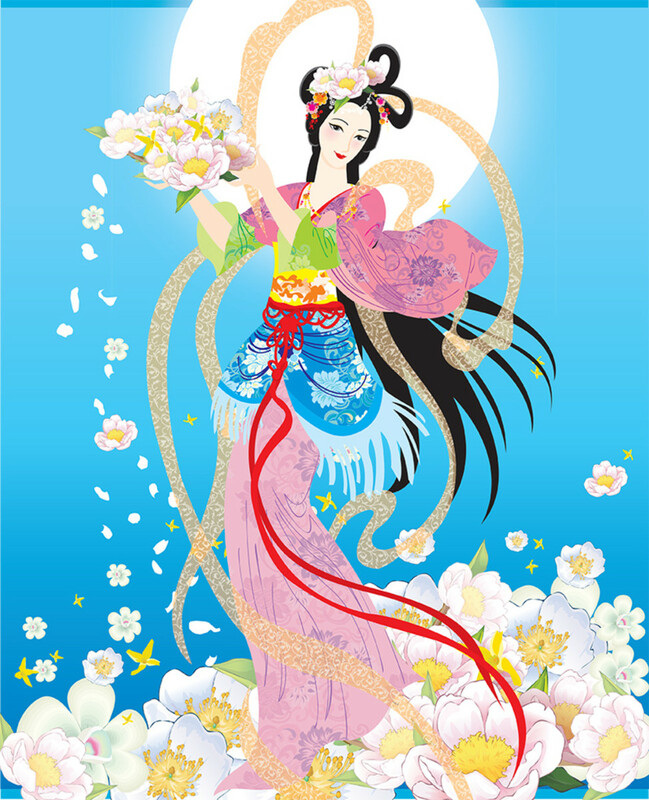 The Chinese commemorate Chang'e’s ascension by celebrating Mid-Autumn Festival. This is held on the fifteenth day of the eighth lunar month. 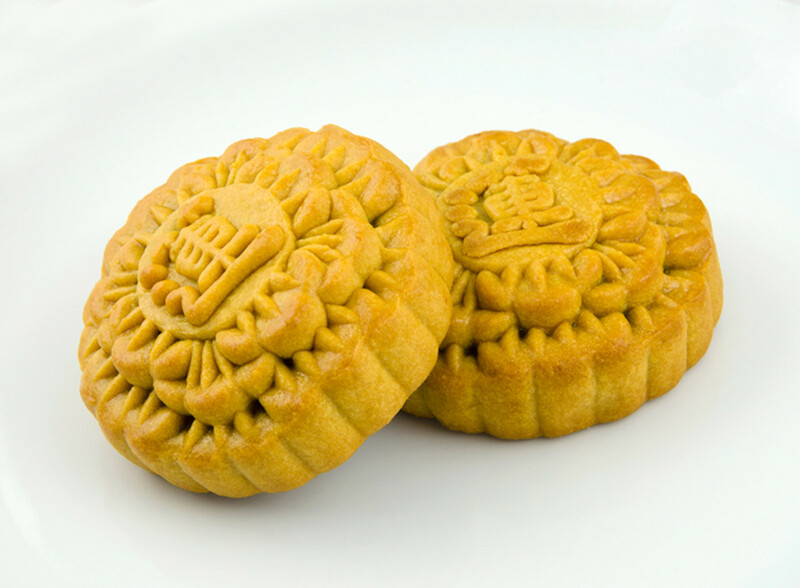 Throughout the month, the Chinese eat mooncakes or offer them as gifts. No thanks to NASA’s visit of the actual barren moon in 1969, the story is nowadays somewhat of a joke with Chinese people. Fortunately, the huge amounts of profit involved with making and selling mooncakes keeps this Chinese myth alive. In Journey to the West, Zhu Bajie was cursed into his awful form as punishment for sexually harassing the Goddess of the Moon. This goddess is assumed to be Chang'e. Like Journey to the West, Investiture of the Gods was written in 16th Century Ming Dynasty. The author is believed to be Xu Zhonglin (许仲琳). The inspiration for his masterpiece were the civil war leading to the establishment of the ancient Zhou Dynasty. The story began in the final days of the Shang Dynasty (商朝). 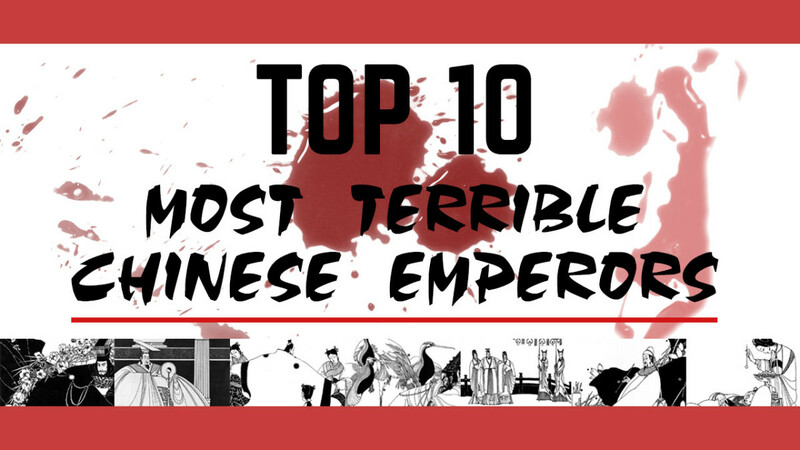 The emperor of then, Di Xin (帝辛), was a ruthless, womanizing tyrant. He was also notorious for having an evil concubine named Da Ji (妲己), who was said to be the human form of a nine-tailed vixen. Together, the wicked duo committed many infernal acts, such as ripping out fetuses to make elixirs and grilling righteous couriers to death with super-heated copper pillars. Their brutality soon resulted in an uprising spearheaded by the noble House of Ji (姬). Many magical warriors, sages and deities subsequently joined the extended struggle. With the capital and the imperial army under him, Di Xin seemingly had the upper hand in this conflict. However, the House of Ji benefited from the assistance of Jiang Ziya (姜子牙), an elderly sage destined to appoint deities, but never to be one himself. Through Jiang’s strategy and “connections,” many powerful characters were recruited to fight for the House of Ji. After numerous magical battles, the conflict ended with the capital conquered and Di Xin forced to commit suicide. The wicked Da Ji and her nefarious sisters were also executed on advice of Jiang Ziya. Curiously, and somewhat akin to Journey to the West, most Chinese are only familiar with one of the mini stories found at the beginning of the work. This involved Nezha’s (哪吒), the third son of one of Di Xin’s generals. Said to be the reincarnation of a divine being, Nezha was birthed with all sorts of fantastic weapons, such as a golden ring, a magical brick, and a “heaven befuddling” sash. The hot-headed and powerful Nezha then got himself and his family into much trouble, the worst being his slaying of a son of the Dragon King. To atone for his crimes, Nezha committed suicide before his family and enemies. However, he was soon reincarnated again, with his body remade from lotus. To ensure he behaves, his father, General Li Jing (李靖), was given a fantastical pagoda. This golden artifact could magically imprison Nezha and most other lifeforms. Father and son then became major players in the events leading to the downfall of the Shang Dynasty. Most Chinese artworks nowadays feature Jiang Ziya in his most renowned form. That of a raggedly dressed old man with a fishing rod. In a way, Investiture of the Gods was the Chinese version of the Trojan War. It was named as such because many characters in the story were transfigured into deities after the war. Nezha and his dad appeared in Journey to the West too. Both lost to Sun Wukong during the latter’s battle with heaven. 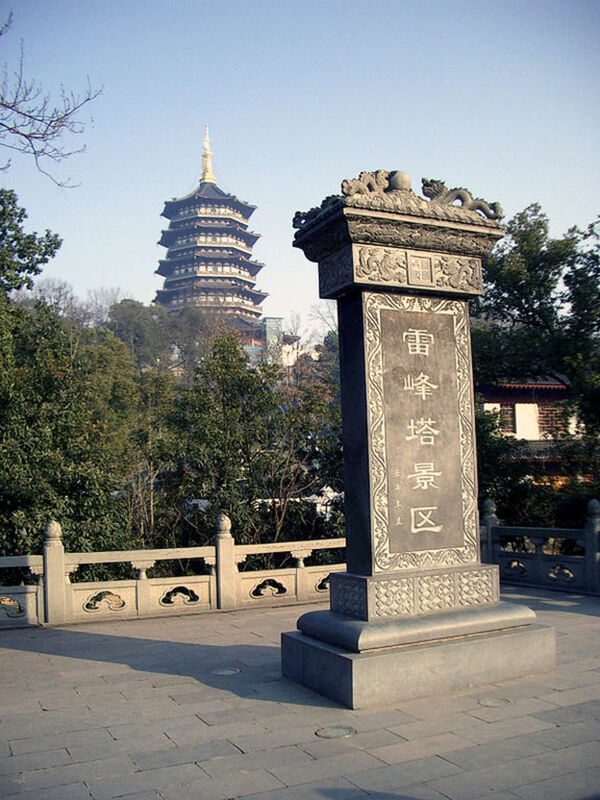 Li Jing, with his pagoda, is formally titled Tuo Ta Tian Wang (托塔天王). Those familiar with Japanese myths would immediately notice his physical resemblance to the Japanese guardian, Bishamon. 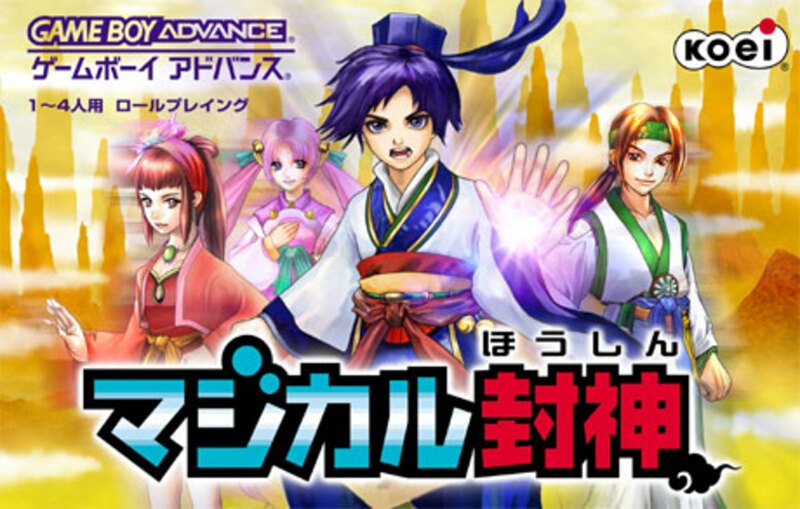 Investiture of the Gods was made into several Japanese animes and games. It is one of the most popular Chinese myths in Japan. Many warriors and sages in Investiture of the Gods are Taoist representations of Buddhist Bodhisattvas. 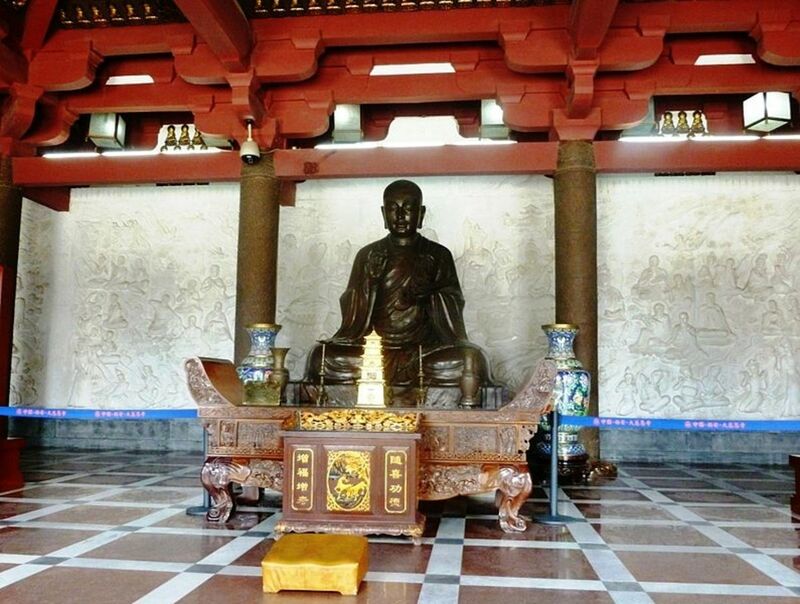 This highlights the usually peaceful co-existence of Taoism and Buddhism throughout Chinese history. Given Journey to the West and Investiture of the Gods were both written during the Ming Dynasty, were the crossovers the authors' way of acknowledging each other? Such crossovers frequently occur in Chinese myths. Chinese myths about a magical white snake existed in oral tradition for a long time before they were was put into writing. Most historians now believe Feng Menglong’s (冯梦龙) version to be the earliest written one. 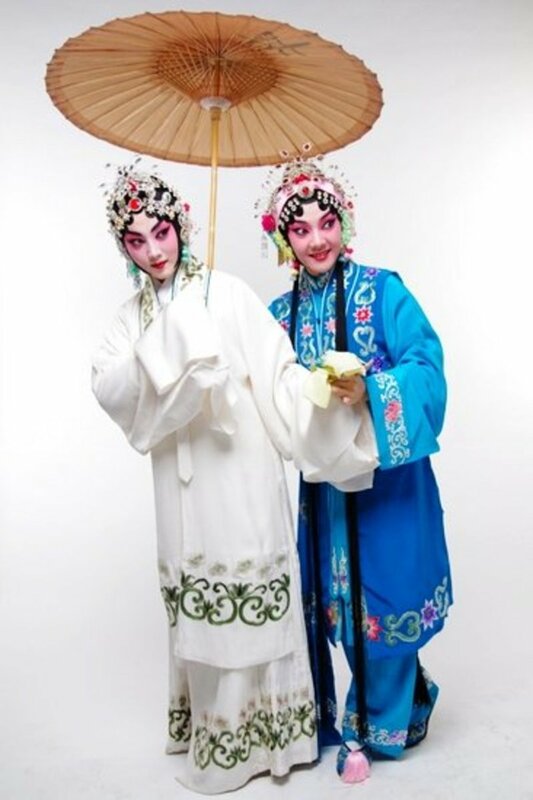 The story revolved around the marriage of young doctor Xu Xian (许仙) to Madam White (白娘子), a white snake spirit in human form. Despite what she was, Madam White was kind and caring, and she genuinely loved her husband. Unfortunately, the exorcist monk Fa Hai (法海) strongly disapproved of the marriage, viewing it as a perversion of nature. To break up the couple, Fa Hai kidnapped Xu Xian and imprisoned him in the Temple of the Golden Mount (金山寺 jin shan si). Desperate to rescue her husband, Madam White and her companion Xiao Qing (小青) assaulted the temple with an army of allies. To force Fa Hai into releasing Xu Xian, they also summoned a massive flood to besiege the temple. While she did everything out of love, Madam White’s flood inevitably caused the death of many in the Golden Mount. To punish her for her many “sins,” Fa Hai defeated Madam White and imprisoned her in the Thunder Peak Tower (雷峰塔 lei feng ta). Here, Madam White would languish for many years till freed by Mengjiao (夢蛟), her son with Xu Xian. In alternate versions of the story, Xiao Qing was the one who freed Madam White. She accomplished this after strengthening her magic with many years of devoted cultivation. Madam White’s mortal name was Bai Suzhen (白素贞). Without surprise, Fa Hai is detested by many Chinese. Especially children. Over the years, the Legend of the White Snake has been adapted into many television series, operas and movies. In almost every version, Madam White is portrayed as the victim, rather than a wicked serpentine seductress. 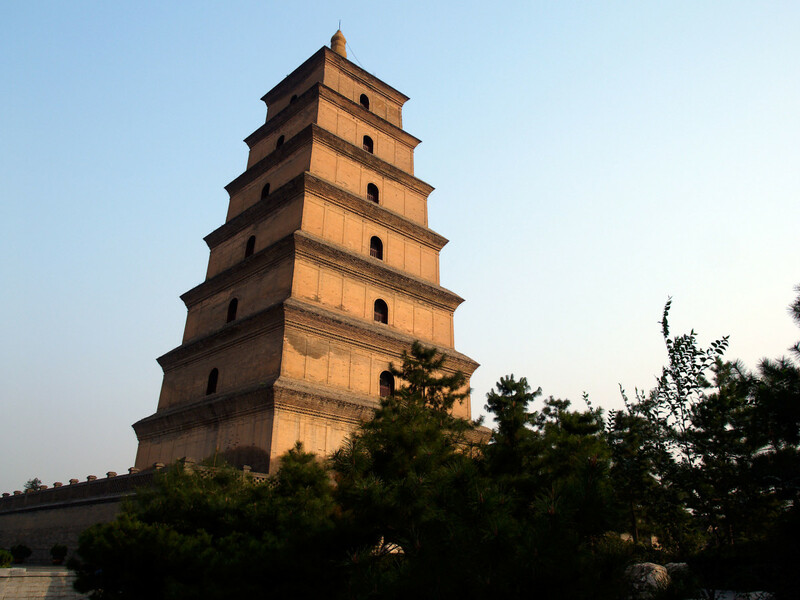 The Temple of the Golden Mount and Thunder Peak Tower are actual places tourists can visit in the Jiangnan area of China. Their popularity entirely stems from the Legend of Madam White Snake. 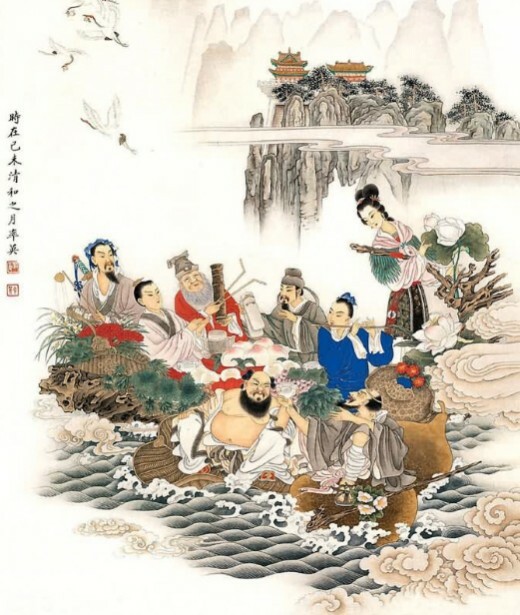 The Eight Immortals are a group of famous Taoist deities. In Chinese art and worship, they are typically represented by the mythical instruments they wield. Li Tieguai (李铁拐) – Represented by crutches as he was lame. Guai means crutches in Chinese. Han Zhongli (汉钟离) – Represented by a large Chinese fan. Lü Dongbin (吕洞宾) – Represented by twin swords. He Xiangu (何仙姑) – Represented by a lotus blossom. Lan Caihe (蓝采和) – Represented by a flower basket. Han Xiangzi (韩湘子) – Represented by a flute. Zhang Guolao (张果老) – Represented by a Chinese fish drum, and riding a mule. Cao Guojiu (曹国舅) – Represented by Chinese castanets. 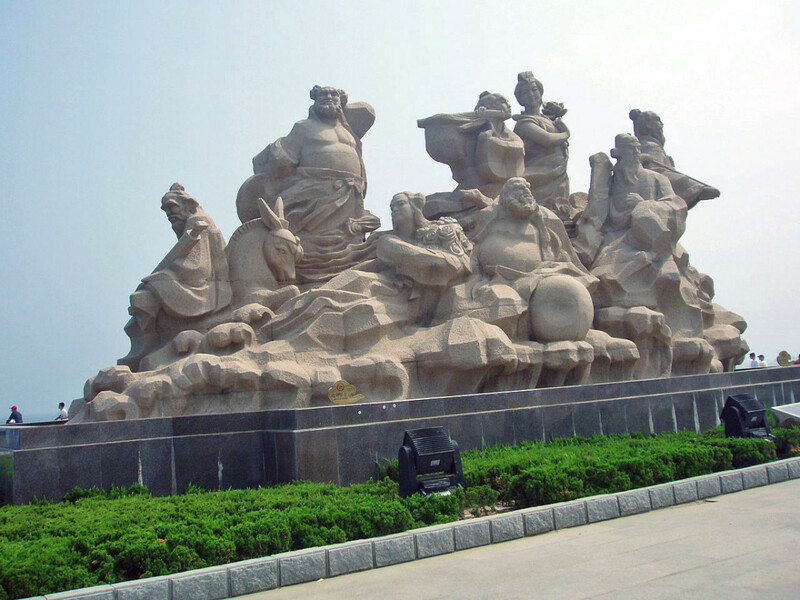 The most famous story of the Eight Immortals is that of them crossing the Eastern Ocean. During this journey, they entered into a conflict with the Dragon King, with the Eight then easily winning the ensuring battle with their colorful abilities. Subsequently, the legendary conflict became a popular motif in many forms of Chinese art. It also gave rise to the Chinese saying, Ba Xian Guo Hai Ge Xian Shen Tong (八仙过海各显神通). This means an engagement in which each player exhibits his or her unique talents. Like Madam White Snake, the story of the Eight Immortals has been made into many television series and movies. • The Eight Immortals also feature in martial arts. Jackie Chan’s early hit, the Drunken Master, has his drunken fighting style based on the Eight Immortals. In the movie, the hardest stance for Jackie to master was that of He Xiangu. Because she is the only female in the group. Several of the Eight are based on historical figures. Interestingly, while they are all well-known and acknowledged as gods, only Lü Dong Bin has a significant number of worshipers today. His followers sometimes refer to him as Sage Lü. (吕主, lu zhu). 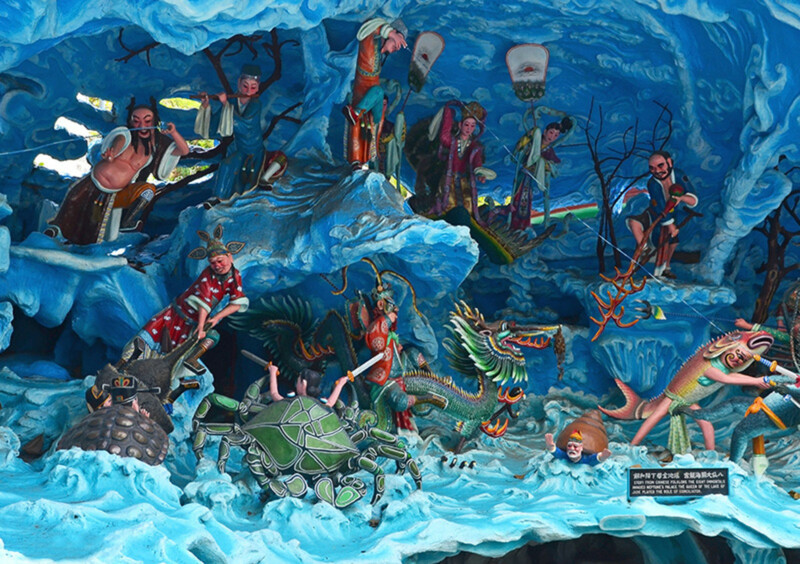 Diorama of the Eight Immortals crossing the sea at Singapore's Haw Par Villa. During the rule of Emperor Yao in ancient China, a terrible flood persisted, leading to the death of thousands and the destruction of many crops. While Yao appointed many to contain the flood, none remotely succeeded. The situation worsened day by day. Eventually, Yao turned to a young man named Yu (禹). Versions differ as to how Yu attended to the task, but he ultimately succeeded where so many had failed. To reward him for his efforts, Yao appointed Yu as his successor, and Yu ultimately was crowned as the first ruler of the Xia Dynasty (夏朝). 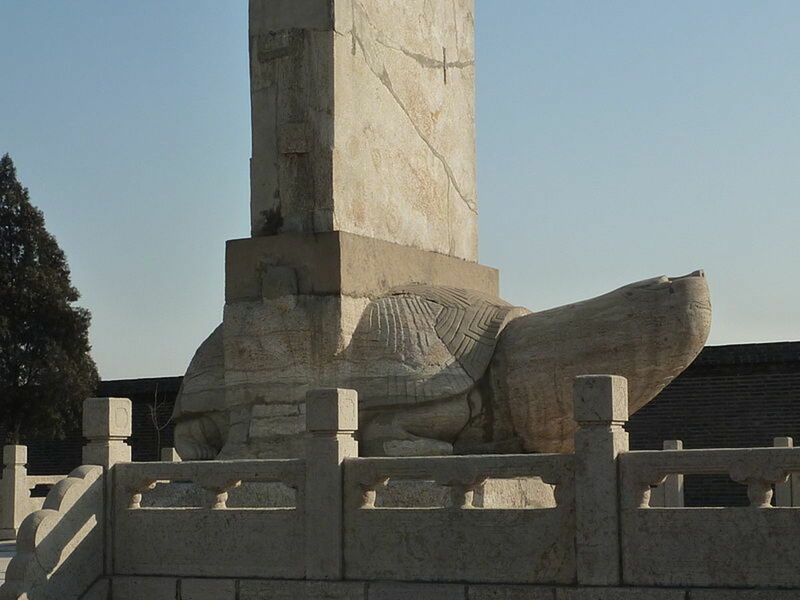 Once believed to be purely mythical, some archaeologists and historians nowadays believe that the Xia Dynasty, and Yu, might have indeed existed. Some versions of the myth claim Yu subdued demons and monsters to control the flood. 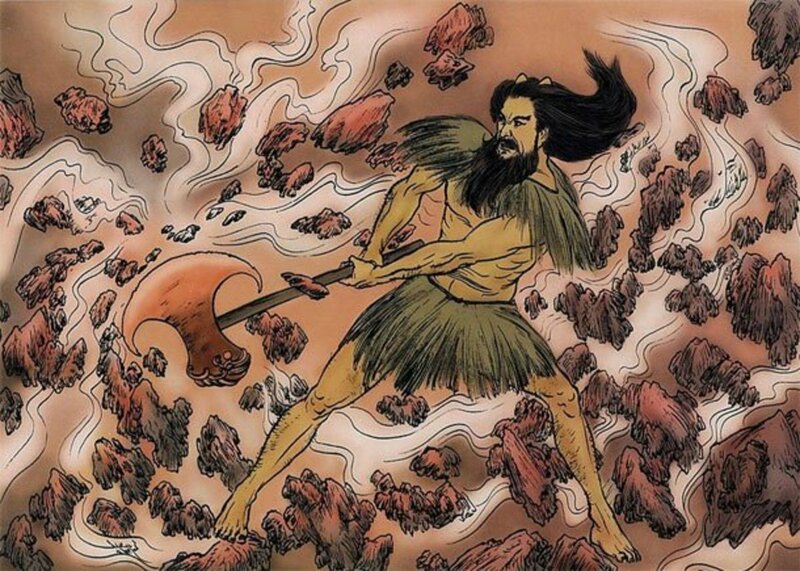 Others state he mobilized a large force to move a mountain rock by rock, with Yu physically involved in the effort. Some modern geologists believe the story of Yu and the flood to be true. They base their hypotheses on sediments found in the Yellow River. Whatever the truth, the story of Yu and his efforts to contain the flood is nowadays a Chinese allegory for perseverance. It is also an allegory for innovation. The fable of the Lotus Lantern bears many similarities to the Legend of the White Snake. Likewise, it was also made into several movies, television series, and stage operas. 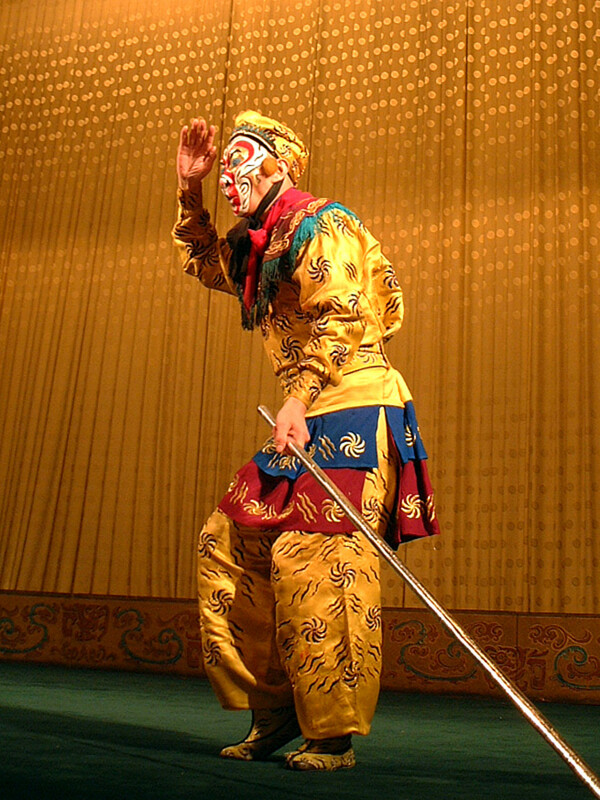 The story is based on the folkloric tale of Chen Xiang (沉香). 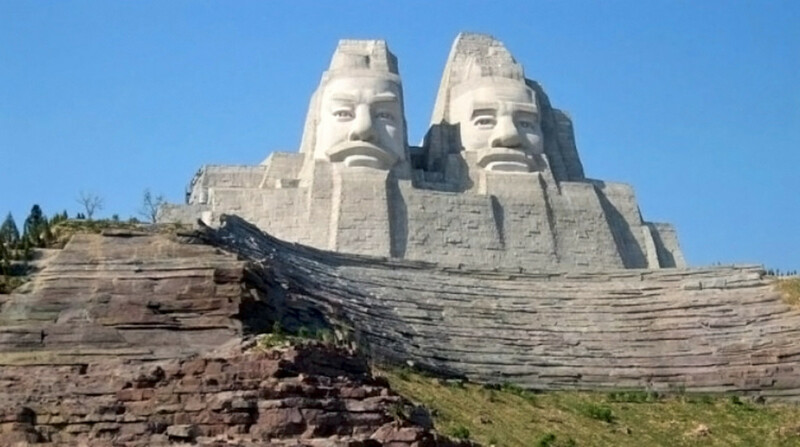 Chen was the son of Liu Yanchang (刘彦昌), a mortal man, and San Sheng Mu (三圣母), a divine goddess of Mount Hua. Chen’s maternal uncle, Er Lang Shen (二郎神), disapproved of this union, and to punish his sister, he imprisoned her under the lotus peak of Mount Hua. On reaching adulthood, Chen Xiang used his mother’s magical lotus lantern to defeat his uncle. After doing so, he split Mount Hua and freed his mom. As is obvious, the trope of forbidden marriages is beloved by the Chinese. This possibly reflects deeply-seated resentments towards class differences in Chinese societies. Another such Chinese myth is that of the Cowherd and the Weaver Girl (牛郎织女 niu lang zhi nü). This pair was punished by being permitted to meet only once a year, on the seventh day of the seventh month, on a bridge formed by magpies. Lastly, the recurring trope of the “son” saving the mother within Chinese myths could also be considered as an endorsement of classic filial piety. Er Lang Shen is an actual Taoist God who appeared in many other Chinese myths. In Investiture of the Gods, he was one of the most powerful protagonists. In Journey to the West, he was the only heavenly general capable of battling Sun Wukong to a standstill. Er Lang Shen’s most defining feature is the third eye in the middle of his forehead. He also owns a heavenly hound (哮天犬 xiao tian quan). Naturally, Sun Wukong detests him and his mutt. Mount Hua is the “Western Peak” (西岳 xi yue) of the Five Holy Mountains of China. It is notorious for its steep and dangerous ascent. In Chinese myths, Pan Gu (盘古) was the first living being in the whole of creation. Before his birth, there was no sky and earth, and everything was just a primordial mess. From this chaos, a cosmic egg was formed, which in turn gave birth to Pan Gu. After coming into existence, Pan Gu progressively shaped the world that we know of today. With his mighty axe, he also split the sky from the earth. He ensured the sky stayed separated by continuously pushing it upwards. Many, many years after creating the world, Pan Gu died. His breath then became the wind and weather. His voice, thunder. His body also formed the world, or more specifically, the continent of China. The rest of him transformed into the living beings that populate the world today. Based on this myth, everything in the world, ourselves inclusive, originated from Pan Gu. Pan Gu’s axe is occasionally featured as an end-game weapon in Chinese video games. 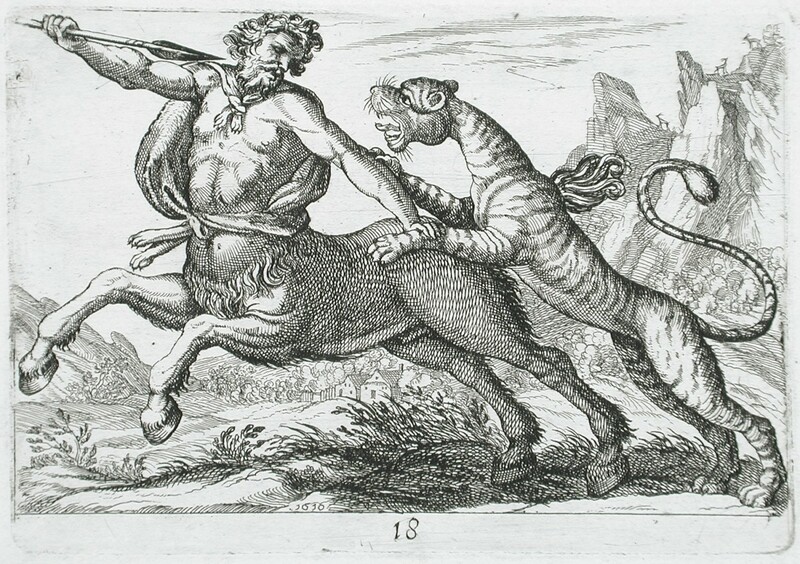 He is usually envisioned as looking somewhat savage, and wearing a fur/grass woven shawl. 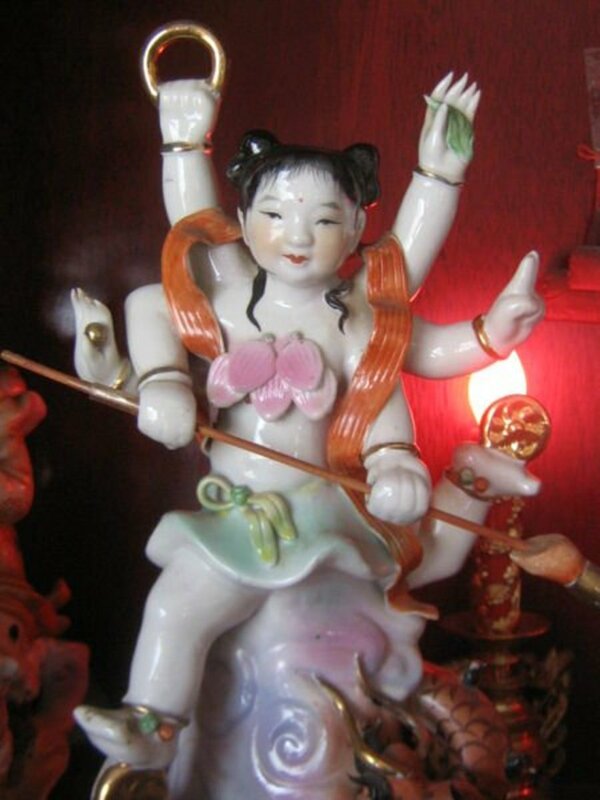 Nüwa (女娲) was an ancient Chinese goddess. 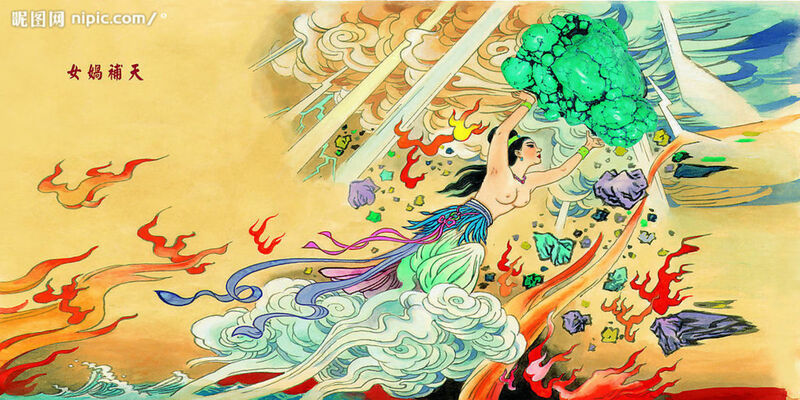 Her most prominent story in Chinese myths is that of her repairing the heavenly pillars. During her time, the battle between Gonggong (共工) and Zhuanxu (颛顼) damaged the various pillars holding up heaven. This resulted in the world being plagued by fire and floods. Answering the prayers of mortals, Nüwa smelted together magical five-colored stones and repaired the pillars. In some versions, Nüwa was said to have also slayed all sorts of monsters to restore peace on Earth. Some versions claim Nüwa was the first woman on Earth. Nüwa was an important character in Investiture of the Gods. In that story, she was the one who sent the nine-tailed vixen to bewitch Emperor Zhou. She did so to punish Emperor Zhou for lusting for her in her temple. While occasionally mentioned, Nüwa doesn’t make any major appearance in other Chinese myths. Chinese myths state the Three Sovereigns and the Five Emperors to be the supreme rulers of ancient China. While the actual composition varies, Fuxi (伏羲), Shengnong (神农), and the Yellow Emperor (黄帝 huang di) feature in most versions of the groupings. Fuxi, half man and half snake, is believed be the first man. He was also the brother/husband of Nüwa. Fuxi is credited with the creation of many things, the most famous of which being the I-Ching. (易经 yi jing). It is said that Fuxi learned of the hexagrams after examining the back of a mythical tortoise. Shengnong translates to the “divine farmer,” and correspondingly has many farming practices credited to him. He is also renowned for testing hundreds of herbs in order to determine their medicinal values. According to legend, he ultimately died of poisoning from this repeated experimentation. His intestines were destroyed by poisonous grass he had ingested. The Yellow Emperor, or Huang Di, is recognized by the Chinese to be the first Emperor. (Mythological, not historically). His full name was Ji Xuanyuan (姬轩辕). Like the others, Huang Di is credited with the invention of many things. He is also credited with the defeat of Emperor Yan (炎帝 yan di) and the unification of Ancient China. In 2004, an academic conference concluded that Emperor Yan and Shennong were actually the same person. Whichever the case, Huang Di was the ruler of the Yan Huang tribe at the height of his accomplishments. Till today, the term “the sons of Yan Huang” (炎黄子孙 yan huang zi sun) is used by the Chinese to refer to themselves as a whole. 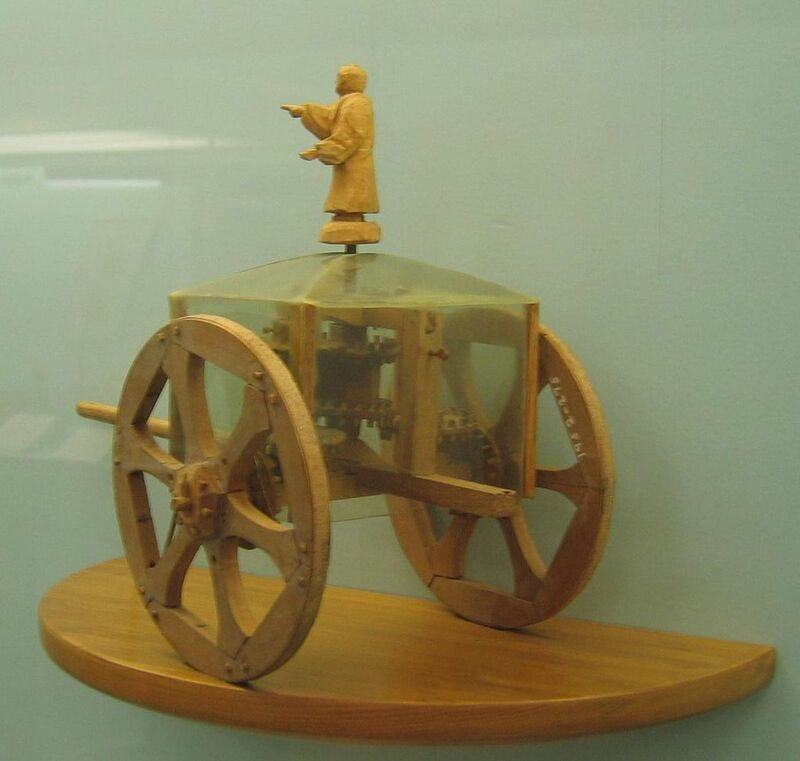 Huang Di’s greatest invention was the South-Pointing Chariot (指南车 zhi nan che). After uniting China, his people was besieged by the Jiu Li (九黎) Clan. The leader of the Jiu Li, Chiyou (蚩尤), is said to have a bronze head and many arms, capable too of spewing a magical fog that could trap Huang Di’s troops. To traverse through the fog, Huang Di created the South-Pointing Chariot. This vehicle had a figure that always pointed to the South. In modern day written Chinese, the term “Zhi Nan” is synonymous with compass or guide. Liao Zhai is a collection of supernatural tales written by Pu Songlin (蒲松龄) in the 18th century. Macabre, colorful, and often terrifying, Pu Songlin's stories were a critique of the injustice he witnessed in society. 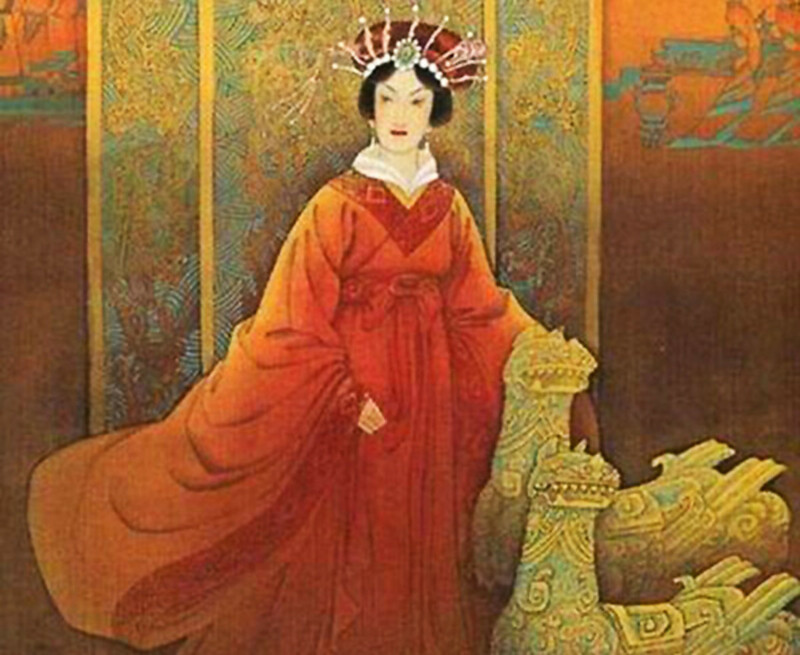 The most famous Liao Zhai story, thanks to Hong-Kong-made movies, is Qian Nü You Hun (倩女幽魂). This is the mother of all Chinese myths involving a bedraggled scholar and a kindly female spirit. In 1987, the late Hong Kong pop idol Leslie Cheung and Taiwanese beauty Joey Wong starred in the most famous screen adaptation. Here’s a visual summary, with the title song, to give you an idea of the story. Thanks for commenting, Anne. I hope you get to visit China soon too, and see these myths come alive in architecture and art. Hi Anne. Thanks for your comment. I hope you get to visit China someday too, and experience these myths brought alive by architecture and arts. What a great hub. There is so much to learn from these tales, which add depth to any trip to China. In Japan, I visited a temple where Tripitaka is said to have brought these scrolls from India.